He passed Ph.D.(philosophy) at the Institute for Sociological Researches of the USSR Academy of Sciences (1984); fellow of the Friedrich-Ebert-Stiftung, Bielefeld, FRG (1990); professor, dean of the faculty of sociology, The Moscow School of Social and Economic Sciences (1995–2014); Doctor of sciences in sociology (MGIMO University) (2004). Research areas: history of sociology, general sociological theory, sociology of space, political philosophy, philosophical problems of sovereignty and international law. Publications: Sociology of Space (monograph, 2008), Sociologia (collection of papers, 2014-2015), translations of Max Weber, Carl Schmitt, Niklas Luhmann et al. The Valdai Club and VTsIOM have launched the Future Preparedness Index project. The discussion, titled “The State in the Middle of the 21st Century: What are the Strengths?” which took place during the Gaidar Forum, is a starting point for expert dialogue, aimed at finding ideas and directions, which could lead the country to success under a correct policy. 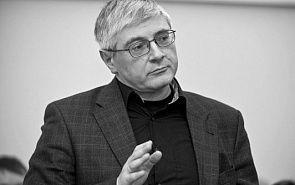 Prior to the event, HSE Professor Alexander Filippov told valdaiclub.com about his vision of issues for the modern state. Destruction is threatening the modern world of progress, where West-developed cultural, social, educational and – last but not least – political models were projected onto the rest of the world, modifying and even unifying behavior patterns and motivations. This was increasingly opposed by trends towards preserving cultural identity and national sovereignty.